Have a child who suffers from eczema, or who layed out in the sun to long? Try the newest product Monkey Balm! I love that it comes as a stick so its a easy application just like your arm deodorant, it rolls on smooth. So I brought out the Monkey Balm because I was curious, so I looked over all my kids and only Brian had something small that looked like a rash on the back of his knee. I was surprised how fast it removed the red! I then applied it to my arm just to get a idea of the texture, it feels like sunscreen that oily feel which you can rub in more and its not as bad. Monkey Balm washes off easily with cold or hot water. Monkey Balm is a great diaper bag product its small enough to carry around in purse as well, and I LOVE that it has so many uses. It's made with sea buckthorn berries which is a great source of omega 7 which is rare on top of having 3,6 and 9 in it as well. The balm also has many other natural ingredients like beeswax, 4 types of oils and more. 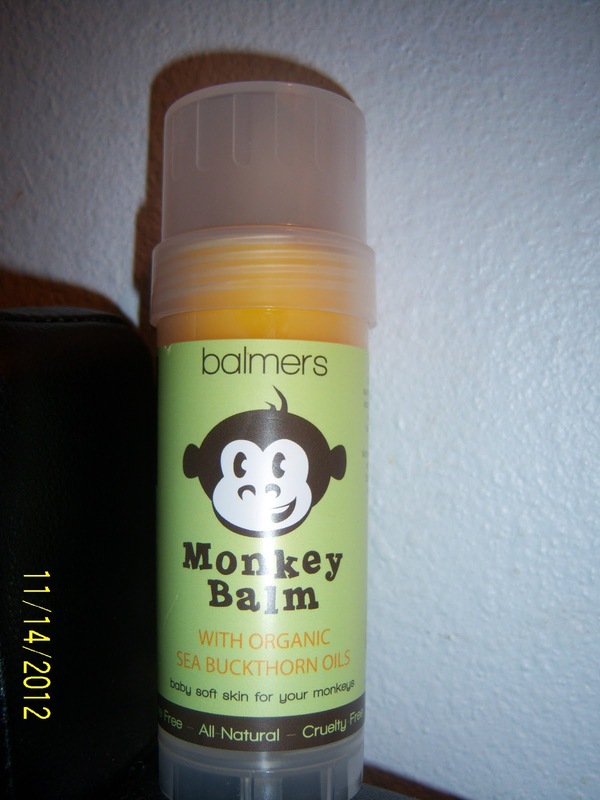 Free giveaway just enter the rafflecopter bellow to win a free stick of Monkey Balm. Offer for U.S. residents only contest ends November 28th 2012. It has Omega 7 in it! Great for skin.